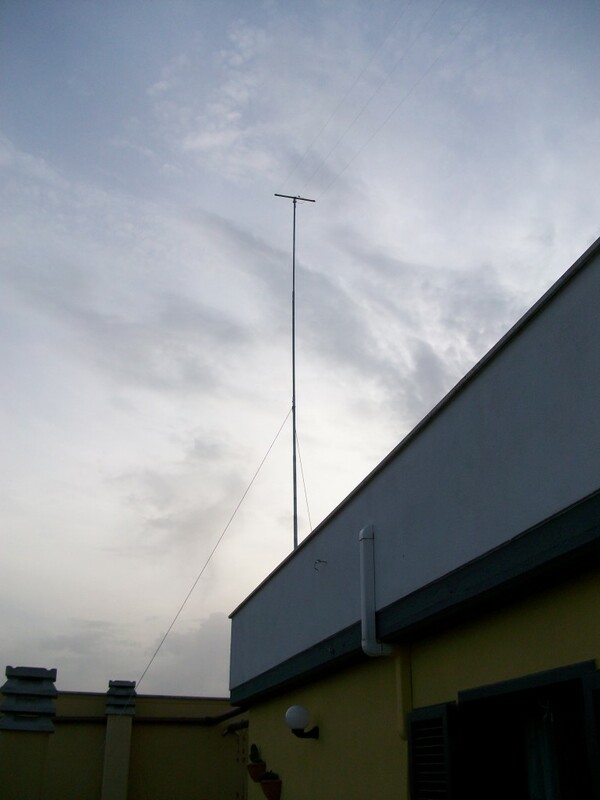 In the last weeks I’ve tested a new antenna for 630m band. 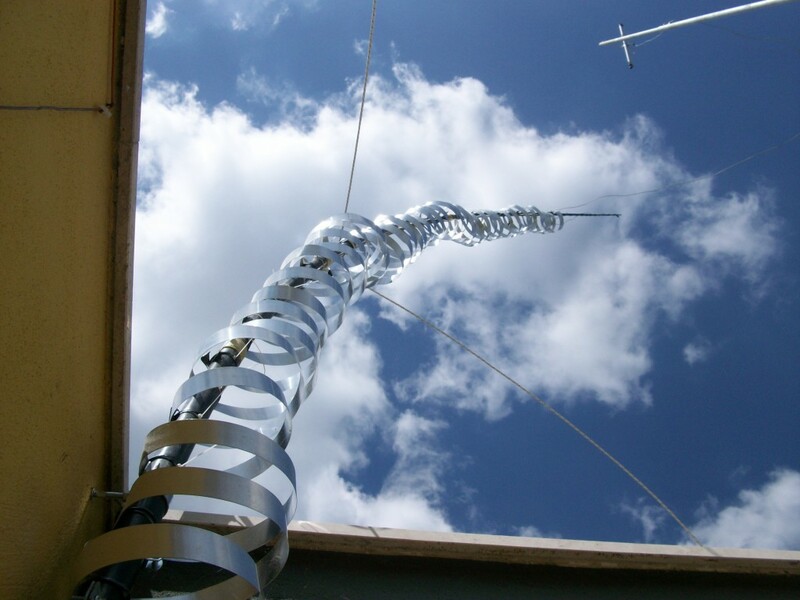 To have also something usefull for 2200m I’ve built an helical loaded vertical antenna followed by a 3-wires hat, so to have a longer radiator that resonate about on 350 KHz. The coil was about a 45 meter long 3 cm aluminium tape with a thickness of 0.3 mm. It was distributed along a 10 meter high fiber pole (used for my old 80m inv-L antenna). After windings all the turns I’ve fixed the vertical “python” in the final position and tried to stretch the hat wires… after some seconds I heard “crackkkk”… one of the tubes cracked for the strong flexure. So, the antenna down again, tube repaired with resin-soaked bandage but now I’ve used a second telescopic tube to support the hat. There was something strange, the twists were too close and the bending was too evident! Again the antenna down on the roof. One of the inner poles was broken! 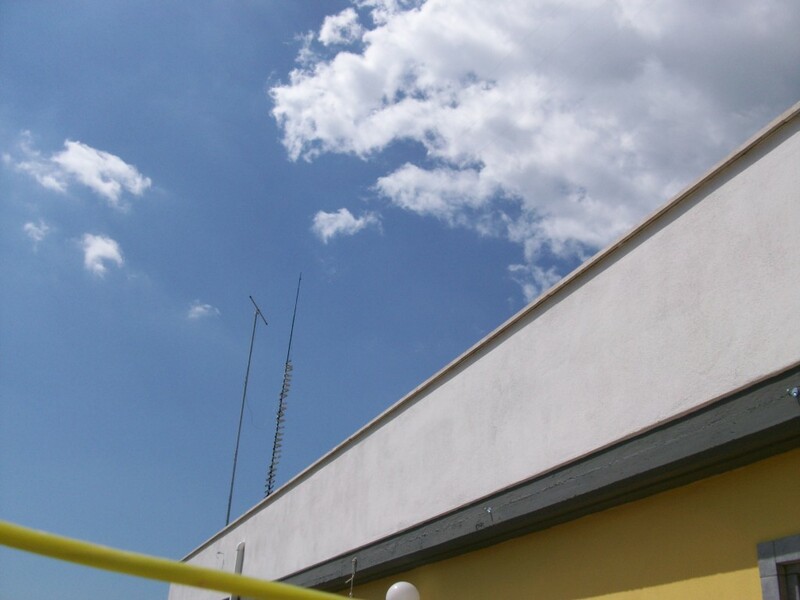 So why don’t use the telescopic pole as new antenna? 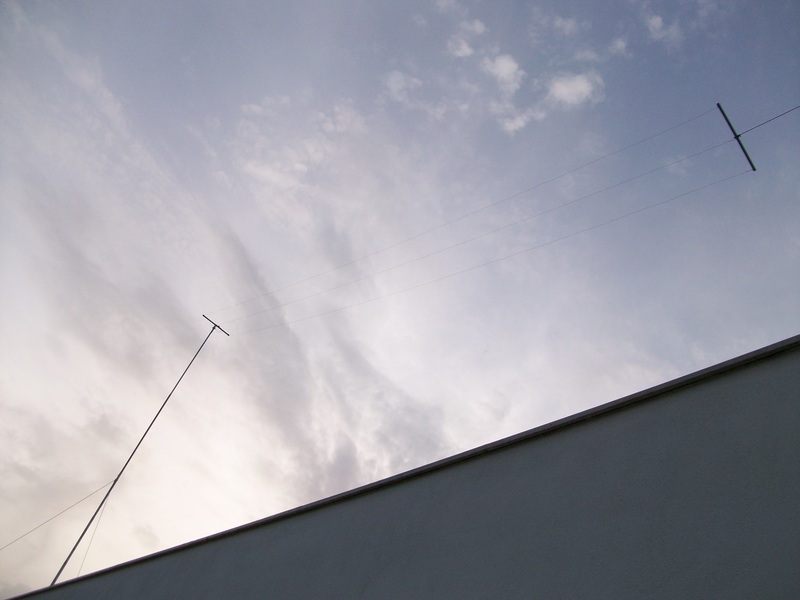 It’s a 10m high pole, and I don’t need of the big coil for 630m. So I’ve decided to use the steel pole and with the only variometer I found the perfect tune on the 630m band! Here it is: …and here the full 10 meter long hat. The next step will be to fatten the vertical pole to increase performance and probably to strengthen the ties. So if you at the moment hear my signal it comes out from this thing, an inv-L 10×10 meters about.